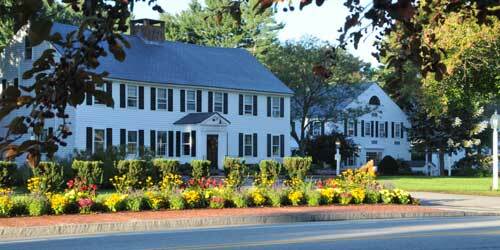 Family friendly hotels, inns and other lodgings are abundant in Massachusetts. Family friendly lodgings and accommodations can be found in every price range and in every corner of the state: from city centers like Boston, to the beaches of Cape Cod and Nantucket and Martha’s Vineyard, to the mountains, farmland, and small towns of Central Mass. and the Berkshire Mountains. Family friendly hotels and motels generally offer the convenience of restaurants and swimming pools, as well as close proximity to family attractions, beaches and water sports, skiing, hiking, and other fun things to do for families. This Cape Cod waterfront getaway features a variety of amenities and activities sure to please the whole family, including a private boating beach with ramp and dock, free rowboat and paddleboat use, a heated outdoor pool, barbecue grills and a can’t miss setting on a beautiful ocean inlet. Nearby are several popular and historic local attractions like Plymouth Rock, the Martha’s Vineyard Ferry, sandy and scenic area beaches, and lots of great fishing action. Each waterfront guest room offers one queen and one double bed, a private bath with tub and shower, cable TV, in-room coffee, microwave, and refrigerator, and, free high-speed Internet. You’re in Falmouth, Mass., a little over an hour’s drive from Boston and Providence, R.I. Don’t’ leave home without your dog. He’ll miss all the fun. 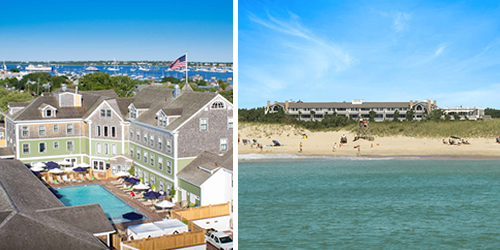 The Nantucket Hotel & Resort offers your family fun activities and amenities with plenty of space to stretch out in. Awarded TripAdvisor’s “Top Hotel in the United States,” our Hotel is located in Downtown Nantucket, off Cape Cod. Take a high-speed ferry from the Mainland and we’ll transport you to/from our Hotel. 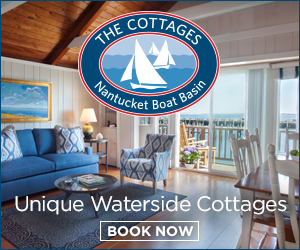 Featuring spacious 1-4 bedroom suites & 1-2 bedroom cottages with kitchenettes; complimentary Children’s Programs; heated pools; The Nantucket Club fitness & spa facility; and family friendly Breeze restaurant. Winnetu Oceanside Resort at South Beach is situated seven miles off Cape Cod. Featuring 1-4 bedroom suites & cottages with kitchenettes; home rentals; family friendly restaurant, The Dunes; complimentary shuttles to Edgartown, new heated pools and hot tub, Children’s Programs, tennis, yoga, life-size outdoor chess & more. Named one of the “Top 5 Summer Resorts for Families” by Boston Parents Paper. Plan your family friendly Massachusetts resort vacation at both properties and we’ll transport you door-to-door between the islands and our Resorts. A Splashtastic Fun Family Getaway! Stay & Play just 19 miles north of Boston. Book an Overnight Package including family-friendly accommodations and access to our on-site CoCo Key Water Park. Our 65,000 square foot indoor water park is a kaleidoscope of awesomeness that is sure to delight every member of your family. Your kids will love the thrills of our giant water slides, while adults can relax in our tropical themed retreat. Conveniently located at the intersection of I-95 and Rt. 1, with ample free parking. On-site restaurants. Pet-friendly. 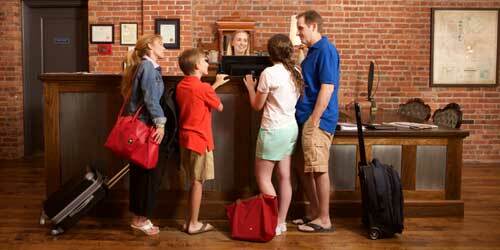 A perfect family destination and lodging combination. Explore the living history at Old Sturbridge Village then stay in your choice of two bountiful lodgings adjacent to the Museum. The Reeder Family Lodges offers 29 modern units with free continental breakfast. Stay at the historic 10-room Oliver Wight House and you’ll find four-poster canopy beds, embroidered bathrobes and slippers and adjoining room options for large parties. Signature Touch spa services are also available at the cottages. All guests enjoy the swimming pool, the kid’s playground, and the collection of 19th-century toy and game baskets. Discounted admission to OSV is included with every reservation and special packages and discounts are available for OSV members and Discovery Adventure participants during vacation weeks. Located in the heart of historic Cape Cod, this family oriented fun-filled vacation destination features studios, one bedroom suites, private entrance townhouse studios and suites, and deluxe suites with in-room whirlpools. Each unit is equipped with a refrigerator, coffeemaker, toaster, microwave and tableware. 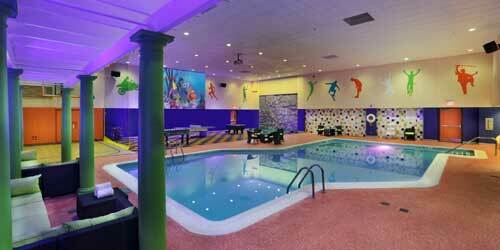 Relax in the indoor or outdoor pools while the kids enjoy their own wading pool. Guest facilities include an arcade, health center, racquetball court, basketball courts, cook-out/picnic facilities, and seasonal activity programs for both kids and adults. Conveniently located in the Mid-Cape area, you’re minutes from Cape Cod's beautiful beaches and harbors and the quaint villages of Provincetown, Hyannis, Falmouth and Chatham with great dining, theatres, nightlife, and family attractions. 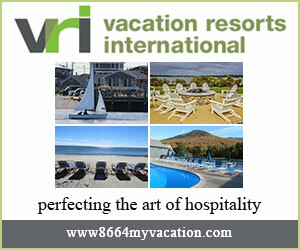 Cape Cod, families and their pets are a natural at this vacation headquarters with historic charm and modern amenities. 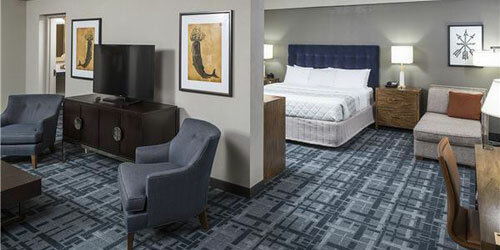 Comfortable rooms feature two double beds, hairdryers, irons and boards, 25" TVs with free HBO, pay-per-play Nintendo, pay-per-view movies, and coffeemakers. Some King Bed rooms have sofas, coffee tables, microwave and refrigerator while the spacious guest suite offers a relaxation room that is ideal for families. Start your day’s adventures with a healthy morning buffet. 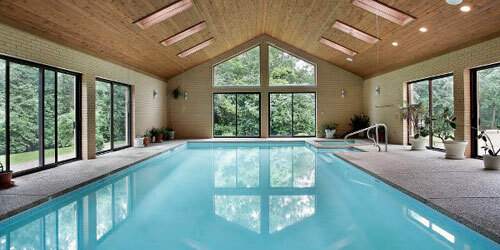 Enjoy the indoor heated pool, sauna, fitness center, and private sun deck. You’re just five miles from the restaurants, quaint shops and historic landmarks of downtown Hyannis where you will enjoy free long-term parking as a guest of the hotel. Check out the year-round lodging deals. Bring the family to see, hear and experience one of America’s most historic first colonies where in 1620 William Bradford and Pilgrims stepped off the Mayflower. 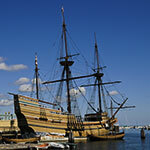 This family friendly hotel is close to Plymouth Rock, the Mayflower II, Plimoth Plantation and the Pilgrim Hall Museum. The 100% non smoking hotel offers all your amenities at a great price from free WiFi and free Baymont Breakfast Corner, a 24-hour fitness center and a micro-mart for everyday essentials. You’ll find a microwave and mini-refrigerator, flat-screen HDTV, ironing facilities, and a tea and coffee maker. Children under 17 stay free and bring your pet for a one-time $25.00 charge. Be sure to check out Duxbury Beach Park, Plymouth Bay Winery, and Brewster Gardens. If you're looking for family-friendly accommodations in Massachusetts, timeshare resorts are the perfect solution. The spacious, well-appointed units offered at these properties allow you and your family to enjoy a comfortable and relaxed stay. 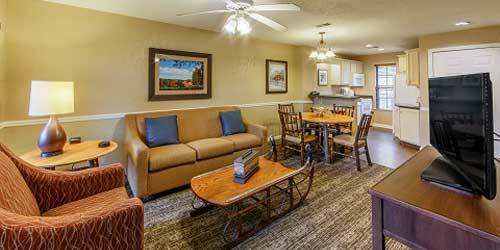 Timeshares are great for the budget-conscious, as you can rent one for less than the cost of an average hotel and they come equipped with many more features such as full kitchens and multiple bedrooms. 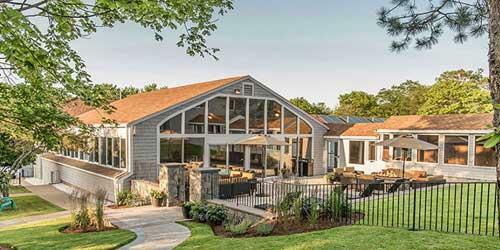 VacationOwnership offers timeshare rentals in Massachusetts at popular resorts including Vacation Village in the Berkshires, and Silverleaf's Oak N' Spruce. These resorts offer sought-after amenities such as indoor pools, hot tubs, and more. VacationOwnership also offers timeshares for sale in Massachusetts allowing your family to secure a lifetime of affordable vacations. Call 866-633-1030 or visit our website by following our link above for more information. The perfect family vacation awaits in the Berkshire Hills with breathtaking scenery and unlimited recreational activities. You’ll find lots of room and every amenity in a home away from home. Set on a 223-acre estate, the resort features one and two bedroom condominiums with master bathroom with Jacuzzi, kitchen, dining and living areas, fireplace, entertainment tech, and a deck overlooking the pond. The library/computer room has a wide assortment of games, puzzles, and outdoor sporting equipment. 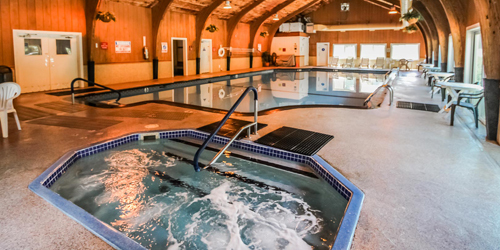 There’s an indoor and outdoor pool, exercise room with hot tub and sauna, a playground, tennis, basketball, rowboats and canoes, and trails for walking, hiking, or cross country skiing. 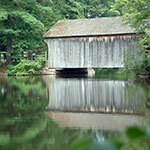 Off site adventure is yours plus historic places, museums, great food, music, shopping and more. The kids might never want to leave Hyannis. There is so much to do in this lively Cape village, and you are in the center of it all at the Courtyard Resort. You can walk to mini golf courses, candy shops, a carousel, the John F. Kennedy Museum, an arcade, fun shops, great restaurants, harbor cruises – and the ferries to Martha’s Vineyard and Nantucket. Or maybe you’ll just want to stay in, enjoying your comfortable condo unit with refrigerator, microwave and cooktop as well as the resort with its indoor pool, sauna, firepits in the outdoor courtyard and barbecue area. You’re a short drive to dozens of beaches, movies at the Cape Cod Mall, live entertainment venues – even a tour at the Cape Cod Potato Chip factory! Children and adults alike will find much to love at Pleasant Bay Village, set on six acres in the picturesque town of Chatham. Check in to your two-bedroom suite or deluxe efficiency with modern kitchens or kitchenettes, many with private sundecks or patios with Weber grills. Take advantage of the resort’s delicious breakfast, maybe have lunch by the sparkling outdoor pool. (And don’t forget cookies in the lobby.) There’s a playground set in the gorgeous gardens, pingpong and shuffleboard, but you might want to take the kids out to nearby beaches or to go on a whale watch, bike on the Cape Cod Rail Trail, go to a Cape League baseball game or enjoy a community band concert. Chatham is filled with fun shops and great restaurants the whole family will enjoy. The folks at Briarcliff, a re-imagined classic 1960s motel on scenic Route 7 between Stockbridge and Great Barrington, like to say that their comfy, stylish rooms are Instagram-worthy, which will appeal to the kids. But so will everything about your stay in the bed and breakfast, from the homemade granola and muffins in the morning to making new friends around the firepit at night. And there is so much to do in between, from skiing at nearby Butternut to hiking Monument Mountain (the trail is right across from the Briarcliff) to touring the Norman Rockwell Museum or MassMOCA to sitting on the lawn for a Tanglewood concert. 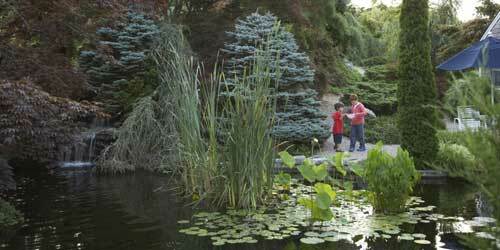 Everything it just minutes away, and your hosts will be happy to help you plan a fun family itinerary. Plymouth Harbor is a great home base for venturing out to have fun nearby, with something for everyone. There’s Plimoth Plantation, with a reproduction of the Mayflower and an accurate 17th Century colonial village. Take a leisurely cruise on the Pilgrim Belle or arrange a whale-watching tour and give the kids a chance for the life-long memory of a humpback whale dramatically leaping out of the water. Take them on a nearby Edaville USA train ride and they can also have fun on the Ferris wheel and bumper cars. 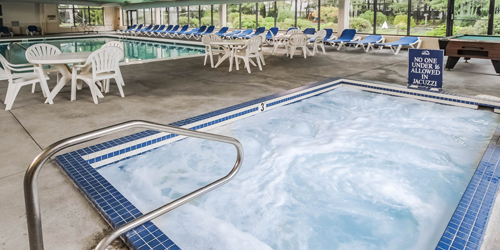 And for times when you just want to enjoy the amenities of this luxury hotel, you can relax in the sauna or exercise in the fitness center or spacious indoor swimming pool. 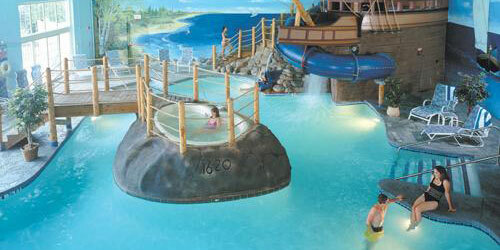 Spend quality time with your family at the Cape Codder Resort and Spa....you may never want to leave! Make a splash in the NEW Water Park with huge water slides, lazy river, wave pool, retractable roof and so much more or in the Rainbow Falls Heated Outdoor Pool, pamper yourself (kids too) in the full-service Beach Plum Spa, roast marshmallows by our bonfire, take in dinner under the stars or enjoy live entertainment on The Deck, lounge or play in our beach-like area, savor breakfast, lunch or dinner in our Hearth ‘n Kettle Restaurant and Tavern, enjoy bistro-fare, award-winning wines and live jazz in our Grand Cru Wine Bar and Grill, watch a movie by moonlight, play games with the kids and our recreation staff and SO much more! Relax in one of our 257 guest rooms or luxury fireplace suites with oversized whirlpools. Reserve online. Located on the southern coast of Cape Cod, just a short distance from Nantucket Sound and South Cape Beach, this family friendly vacation resort offers 1, 2, and 3 bedroom units on a one-third acre lot with a spacious sun deck or patio. 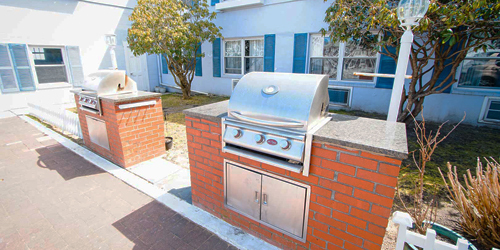 Each unit includes a full kitchen, wireless Internet access, central air, a washer/dryer combo (except our one-bedroom units), charcoal grill, cable TV, DVD player, and Jacuzzi tub (except in 1-bedroom units). More great resort amenities include an indoor pool, BBQ/picnic area, children’s play area, tennis, basketball, playground, game room, shuffleboard, putting green, and laundry facility. This enchanting setting is just a short trip to excellent boating, fishing and whale watching excursions. The warmth and fun of a New England family adventure is here. We all know Cape Cod is a place of sand, sun, and carefree summer joy. Within that framework, there is plenty of variety – from bustling in-town hubs of music and dining to remote beaches below lofty bluffs. Similarly, Cape Cod Oceanview Realty provides a variety of rentals for its Airbnb customers -- with a specialty in waterfront, water view, and walk-to-water properties all across Cape Cod. Whether you’re looking for a compact honeymoon cottage or a sprawling rental for generations to mix and play, you are likely to find an Airbnb choice to suit your needs. From the Cape Cod Canal to the remote points of Woods Hole to Chatham to Provincetown, an Airbnb property is there to offer the getaway lodging of your needs. There are family pleasures galore at this cozy Inn on a secluded and historic Falmouth street. Get the family moving with all the activity that the best of Cape Cod has to offer from right here. Near to the village are beaches, a duck pond, playground, bird sanctuary, day spas, shops, galleries, museums, churches, a trolley stop, library, and more than twenty restaurants from sidewalk cafes and pubs to ethnic eateries and fine dining. You’ll find 80 guest rooms from economy singles to standard and family rooms, to deluxe parlor accommodations with an indoor and outdoor pool, spacious grounds with lawn games, umbrella tables, chaises and barbeque grills. Hop on a ferry to Martha’s Vineyard and make this your homeport for easy day trips to Plymouth, Hyannis, and Provincetown. On the site of the original Pilgrim settlement, the John Carver is steps away from Plymouth’s attractions. Relax on the sandy beaches, stroll and shop on Main Street or relax in one of our beautiful guest rooms or luxurious fireplace suites. Make a Splash in the exclusive Pilgrim Cove Indoor Theme Pool complete with a replica of the Mayflower II, 80-foot water slide, waterfalls, lap lanes and whirlpool set amidst a replica of Plymouth Rock. Dine in the family-friendly Hearth ‘n Kettle Restaurant or the new WaterFire Tavern featuring delicious fare in a unique, fun atmosphere. Indulge in the full-service Beach Plum Spa offering a complete collection of services for women, men and children. Family Vacation Package available. Reserve online. Set on 20 quiet, wooded acres just five miles from Nantucket Sound between Falmouth and Hyannis. It’s Cape Cod’s bucolic south coast where beautiful beaches, shopping, on the water adventures, and delicious local seafood are all within shouting distance. It’s 90 comfortably appointed one and two bedroom condos with a stocked, full-sized kitchen, queen beds, two full bathrooms, and all your linens and paper goods. This is a kid’s paradise with mini-golf, volleyball, horseshoes and shuffleboard. 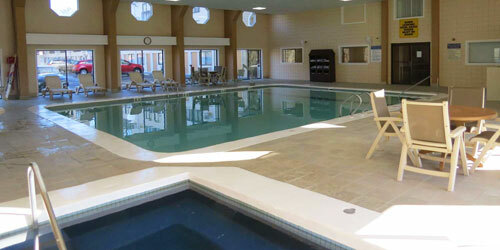 Unwind in one of the large pools or hot tub or get some time at the exercise room or the two tennis courts. Local marinas can set you up with equipment rentals, fishing charters, and excursions to Martha’s Vineyard and Nantucket. Brewster’s Ocean Edge Resort & Golf Club boasts a variety of amenities for all ages, and was named “Best Resort Cape Cod” by Boston magazine’s 2017 Best of Boston Awards. Summer programming includes kite-making, lawn games, archery, outdoor movies, the Ocean Edge Venture Program, weekly s’mores beach fires. The Resort also hosts activity-packed February and April School Vacation programming with inventive themes. Ocean Edge offers a variety of accommodations, including family-friendly one-bedroom villas with kitchens, washer/dryer, and connecting rooms, an 18-hole Nicklaus Design golf course, The Beach House Spa, private beach, three restaurants, The Beach Bar, outdoor and indoor pools, nine tennis courts, fitness centers, a basketball court, bike rentals, and kayak and stand-up paddleboard rentals. 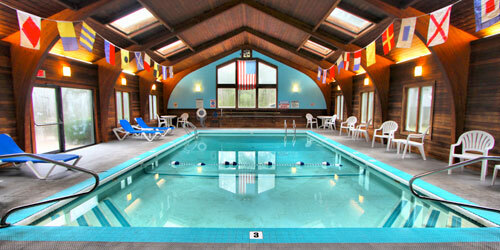 Jiminy Peak Mountain Resort offers lodging perfect for any Berkshire getaway. Choose from Country Inn Suites,or two or three bedroom mountainside Vacation Homes. 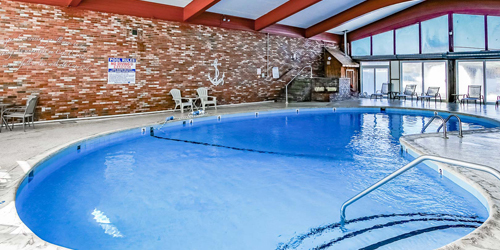 Amenities and activities include shopping and dining in the Village Center and Country Inn, outdoor heated swimming pool, the In-Touch Day Spa, fitness room, game room and more. Jiminy Peak is also home to the largest ski and snowboard resort in southern New England. Jiminy's 45 trails and 9 lifts cater to all skill levels and fun for all, while our three terrain parks provide rails and jibs for the new and experienced park riders. Since opening in 1948 Jiminy Peak has evolved to become a 4 season resort, our mission to provide memorable, Mountain Resort experiences with outstanding service in beautiful surroundings. Everyone’s a kid on Cape Cod! 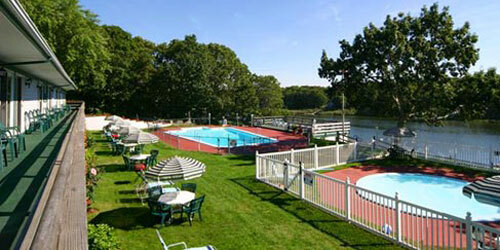 Bring the family to Cape Winds and find great comfort and value and in a Cape Cod vacation. One and two bedroom units all with patio or deck have king or queen-size beds, living and dining areas, fully equipped kitchens, 1.5 -2 baths and complimentary Wifi. 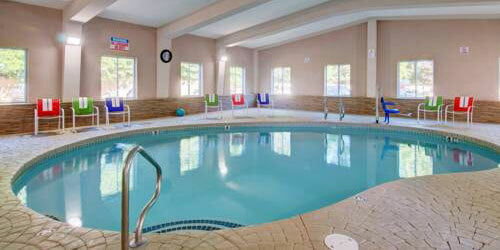 A fitness center and clubhouse with fireplace frame the heated indoor pool and whirlpool spa. A picnic area comes with volleyball, horseshoes and shuffleboard. Swim and tan on nearby Craigsville Beach or relax on one of America’s Top Ten beaches in nearby Nauset. Great food, shopping, entertainment and history make Hyannis a gathering place for families visiting the Cape. Sail out of Hyannis harbor on a fishing trip or take off on a day cruise to Martha's Vineyard or Nantucket. It’s all good! Not only does the Berkshires of Western MA have your family fun covered, they’ve got a mix of lodging options to fit your family’s needs and budgets. Be it a bed and breakfast, local resort, rental property or hotel, you can find one to accommodate your family from the rolling hills of Williamstown to the quaint streets of Great Barrington and anywhere in between. 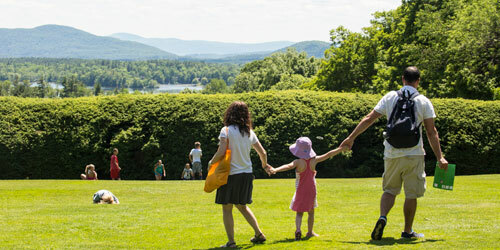 So pack up the entire family and get out & about in the Berkshires. Whether you choose to spend your time indoors or out, the Berkshire region is a welcome respite in the summer. To learn more visit us at berkshires.org or find us on Facebook at Visit the Berkshires of Western Massachusetts. Enjoy your own magic carpet ride at Boston’s distinctive 1927 landmark hotel. 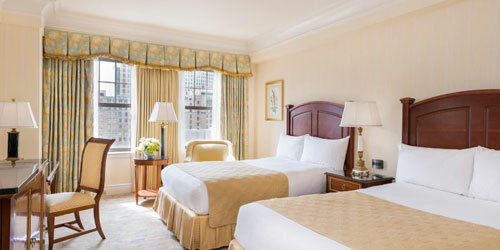 The Taj is a great family destination for a weekend getaway with 273 guestrooms and 44 spacious suites featuring classic touches and windows that open to panoramic views of Boston. The Hotel overlooks the Public Garden with its swan boats and Frog Pond for ice skating while within walking distance, you’re in the heart of great eating and shopping, historic sites and attractions, galleries, movie theaters and the Hynes Convention Center. The same great Taj hospitality, service and amenities are available for you and your family while the Hotel also welcomes pets year-round – up to two per room – and provides each pet with their own pet bed and food & water bowl. History, family fun and the sea! Brewster Green welcomes you to taste the local flavors – history, sea and sky, great seafood, shopping and whatever whets the family appetite. Amenities include an exercise room, indoor and outdoor pools, tennis and racquetball courts, shuffleboard and volleyball. Two and three bedroom condominiums include full kitchen, dining room, living room with fireplace, flat screen TV and washer and dryer. 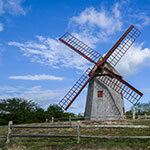 For history, visit Plimoth and Heritage Plantations, the Pilgrim Monument. For exercise and amusements, try our quaint seaside and bayside villages with museums, an Audubon center, bowling, biking and hiking trails, movies, and a chance to have a personal encounter on a whale watch excursion. And the beaches – always and a lot of them - along Cape Cod National Seashore. Inspiring families for centuries. 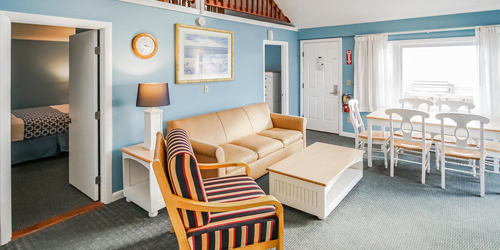 Consider the Rockport Inn and Suites your family’s stepping-off point for the kind of sightseeing that only photogenic Cape Ann can offer. But first, the inn itself: With five acres of landscaped lawns, a big indoor pool and whirlpool, tennis courts, pet-friendly rooms and a free deluxe continental breakfast, the inn is a haven where busy families can kick back and relax. But there is so much to see and do in Rockport, a short walk away! This lovely seacoast village boasts restaurants from fine to funky; galleries supported by one of the nation’s oldest art colonies; beaches that beckon swimmers, boaters and divers; and scenic lighthouses (including a set of twins on Thacher Island). Guests can discover fun-filled amenities and spacious villas in the heart of the Berkshire Mountains at Holiday Inn Club Vacations® Oak n’ Spruce Resort. The resort features one-, two- and three-bedroom villas with fully equipped kitchens, a private balcony/patio as well as complimentary Wi-Fi and parking. The resort also offers a host of activities that the whole family will enjoy including indoor and outdoor pools, a miniature golf course, movie theater, playground, fitness center and an activity center. Additionally, guests can experience fresh, outdoor air with nearby hiking or biking along the beautiful paths of the Appalachian Trail or visiting the neighboring ski areas for fun in the winter months. 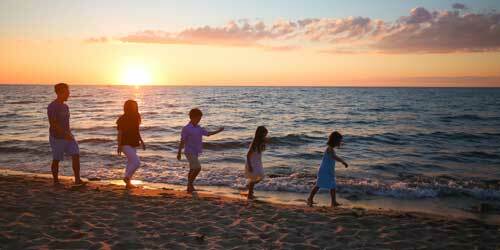 Resort asks: Is there a better place for vacationing families than Cape Cod? 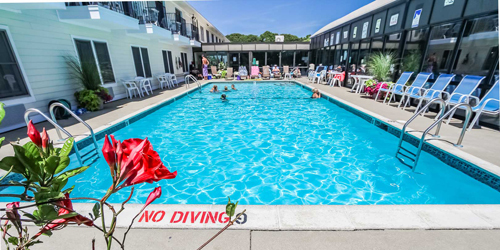 Cape Cod has been entertaining families for decades, and you can join in the fun when you book a fully furnished condo unit at Seawinds II in Dennisport. You can walk from your one- or two-bedroom unit (with gas fireplace and kitchen) to a private sandy beach, hit the pool at a nearby sister resort – or go exploring! Catch a wave at one of the National Seashore’s oceanside beaches, do some funky shopping in Hyannis, catch a whale-watch boat out of Provincetown, go biking on the Cape Cod Rail Trail, visit a nature sanctuary or museum or lighthouse. See some local theater, check out a concert and dine on the freshest seafood the coast has to offer. Families love this comfortable and convenient lodging located just off the Massachusetts Turnpike with easy access to Logan Airport and downtown Boston attractions like Fenway Park, Freedom Trail, and Faneuil Hall Marketplace. Take the free hotel shuttle to local area shopping and dining destinations. See family and friends at nearby colleges Wellesley, Babson, and Boston’s colleges. Explore the fabulous Natick Mall, and enjoy some game time action at local sports bars. There’s a woodland botanical garden at Garden in the Woods, and you can take the kids for a day of relaxation, swimming or kayaking at Cochituate State Park. All the amenities are here from free hot breakfast, free Wi-Fi access, and a gym and fitness center. The Suite Shop® has souvenirs, snacks and more. Relax as a family at Harbor Landing, a timeshare resort in the heart of Vineyard Haven. Rent an efficiency or something bigger, enjoy the fully equipped communal kitchen, TV in the recreation room or cookouts on the patio. Nearby activities include swimming, boating, hiking, movie-going, shopping and checking out the homes of whaling captains. The lovely town beach at Owen Park has a perfect small park for the little ones. A short jaunt takes you to wildlife sanctuaries, lighthouses, horseback riding, biking and hiking trails in state and national parks, arcades and to the famous Flying Horses Carousel at Oak Bluffs. Come back to the resort to unwind on the deck while the sun sets over the water. Hotel on North in downtown Pittsfield is centrally located in the wonderful Berkshires region, a great place for a family vacation with kids. From this home base – where the family can kick back in comfort before or after the day’s excursions – you can explore the hiking, biking, swimming, and picnicking at the region’s state parks; drive up magnificent Mount Greylock; attend concerts, live theater, and dance shows; and explore fascinating historic homes and gardens of the Gilded Age. For a more-restful interlude at the hotel, unleash your children in the kids’ playroom, where they can play games, ping pong table, foosball, or tuck into books in a bean bag chair. The restaurant welcomes young ones with a kids menu. The hotel’s downtown location makes it easy to explore. Don’t tell the kids but there’s a lot to learn in Boston. You can of course hide all that among the incredible things to see and enjoy as you explore the best of Boston. You’re less than five minutes to Faneuil Hall, Quincy Market, the Freedom Trail and the USS Constitution. Via the ‘T’ just around the corner, you’re less than 10 minutes to many Boston-area colleges and universities including Tufts, Harvard, and MIT. Located just one mile from the TD Banknorth Garden, take advantage of the hotel's sports package when the Celtics are in town. 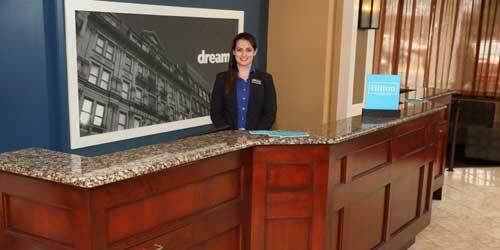 Your tastefully appointed guestroom features complimentary Wi-Fi and free parking - a real value for Boston hotels. 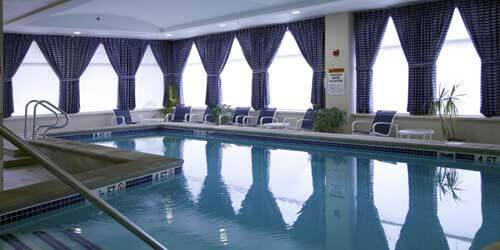 Savor authentic New England cuisine, a 24-hour Fitness Center and indoor pool. Families can travel the back roads of Massachusetts after jumping of the interstates. When you land at this historic Inn, you’ve come home to the past with a delicious present waiting. Work up an appetite at Sturbridge Village then satisfy it with crab cakes and homemade potato chips, old fashioned chicken pot pie and Yankee pot roast right alongside lobster mac n'cheese and roasted turkey dinners served every day of the year. Three unique lodgings offer rooms and suites in Inn and motel settings. Air conditioning, cable television, private baths, and wireless High Speed Internet are in all. Last stop before leaving should be the Bake Shoppe where you can stock up on baked sweets, jams, apple butter and gifts to savor of your delicious visit. Families have fallen in love with Salem for decades, and now you can, too, starting with your stay at the Salem Waterfront Hotel & Suites. 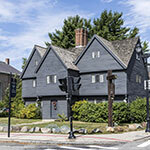 From your junior or king suite, make plans to visit the Salem Witch Museum, the New England Pirate Museum, take a trolley tour of the old town or go for a harbor cruise or whale watch. Or just stroll through the shops of Pickering Wharf. With the hotel’s Family Vacation Package, there are discounts from the wharf’s shops, plus kids under 12 eat free from the children’s menu (and get a special welcome gift). The hotel has a heated indoor pool, fitness center and pub-restaurant with a menu filled with salads, chowders, sandwiches and burgers. We invite you to join us and see for yourself! A great family vacation location! 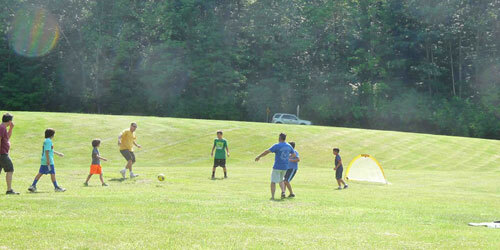 On-site, delight in outdoor activities include volleyball, horseshoes, bocce ball and basketball. 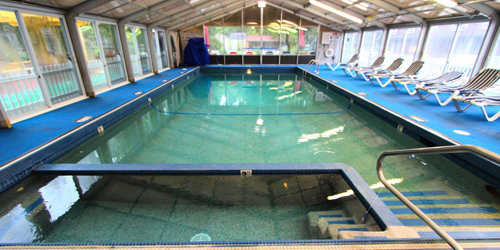 Recreational activities include an indoor pool, exercise room, sauna, and two indoor/two outdoor tennis courts. Doubletree by Hilton Bedford Glen is also near historical and recreational sites, including Lexington & Concord, golf courses and Wachusett Mountain and Nashoba Valley ski areas. 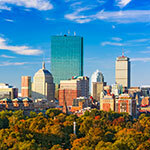 The Hotel is only 20 miles from the downtown Boston area and Logan Airport. There is easy access to local corporate offices, top shopping, Boston area universities and colleges, and New Hampshire. All 281 guest rooms and suites offer views of the meticulously groomed grounds and garden. 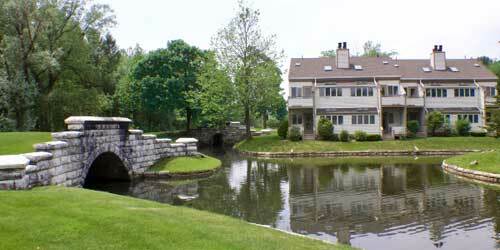 This retreat property is located on 24 wooded acres. Come enjoy dinner on our outdoor terrace.